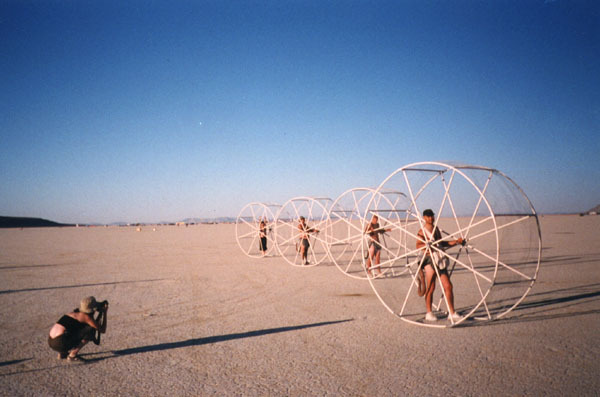 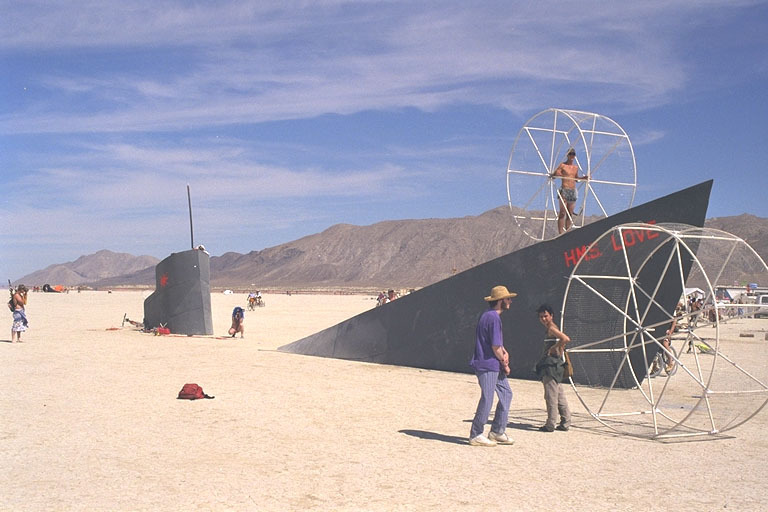 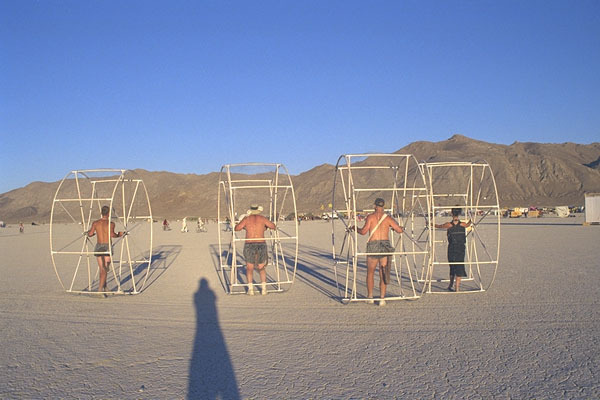 These images are from when I went to the 1999 Burning Man with my Brother, Nephew and Niece. 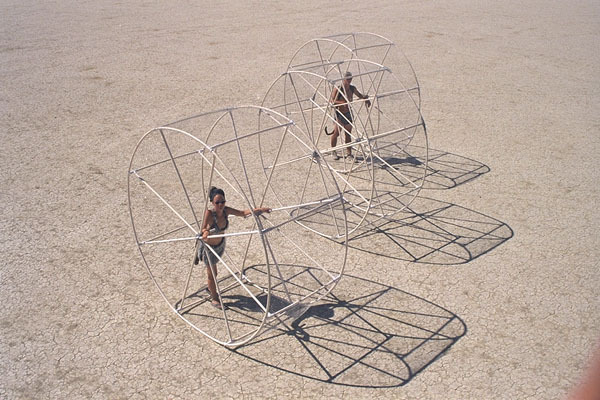 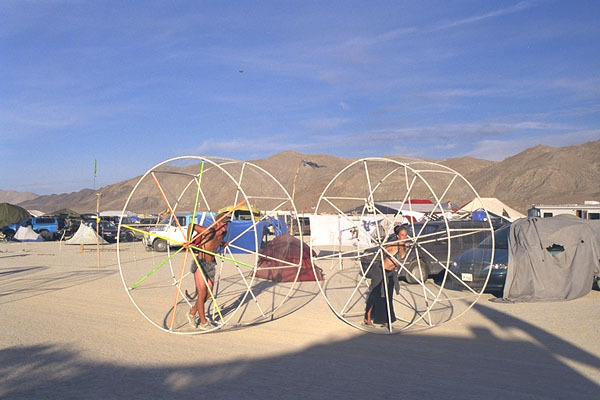 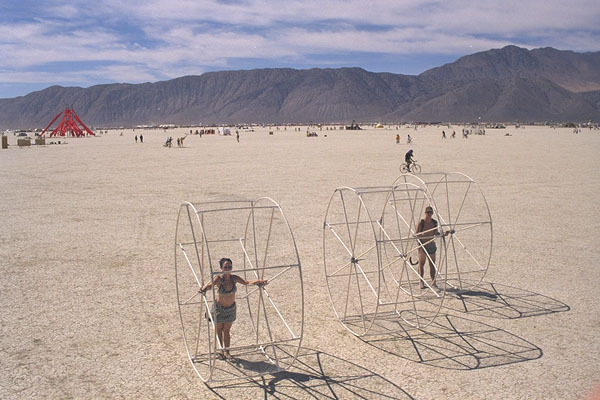 I built some giant hamster wheels so that we could roll all over the playa. 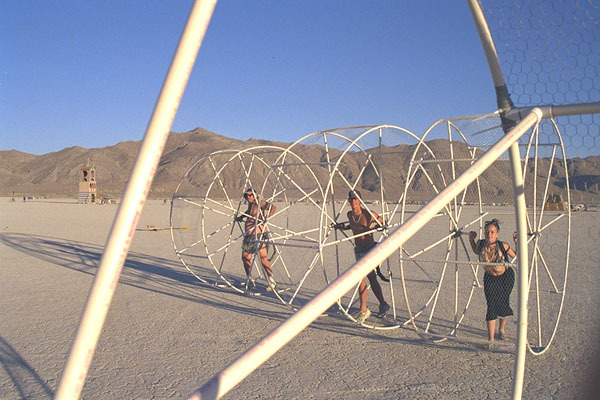 At night we attached a bunch of light strands that looked pretty cool as we bumbled along in the dark. 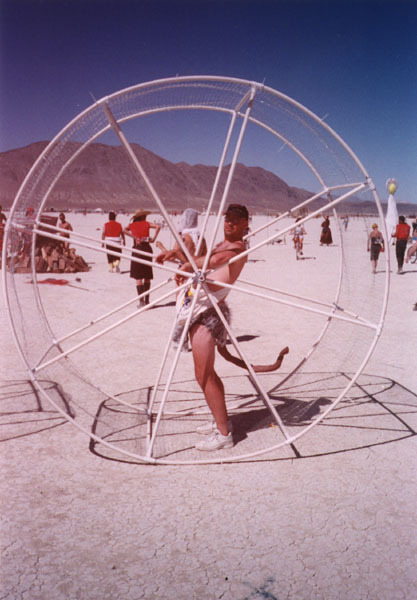 Rim: 16 rim sections at 39"
I used 3/4 inch PVC and glued the pieces together with PVC joint cement. 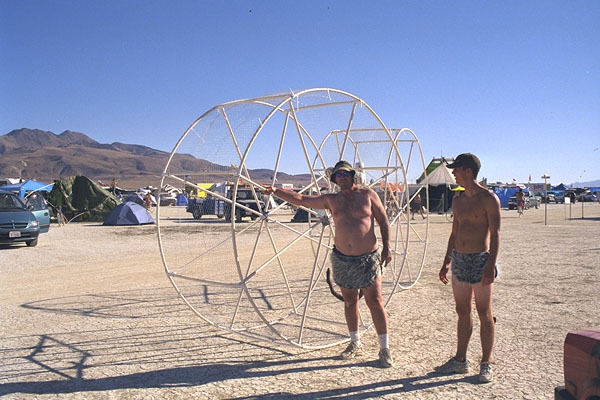 You'll need a whole bunch of connectors (T's & quads).